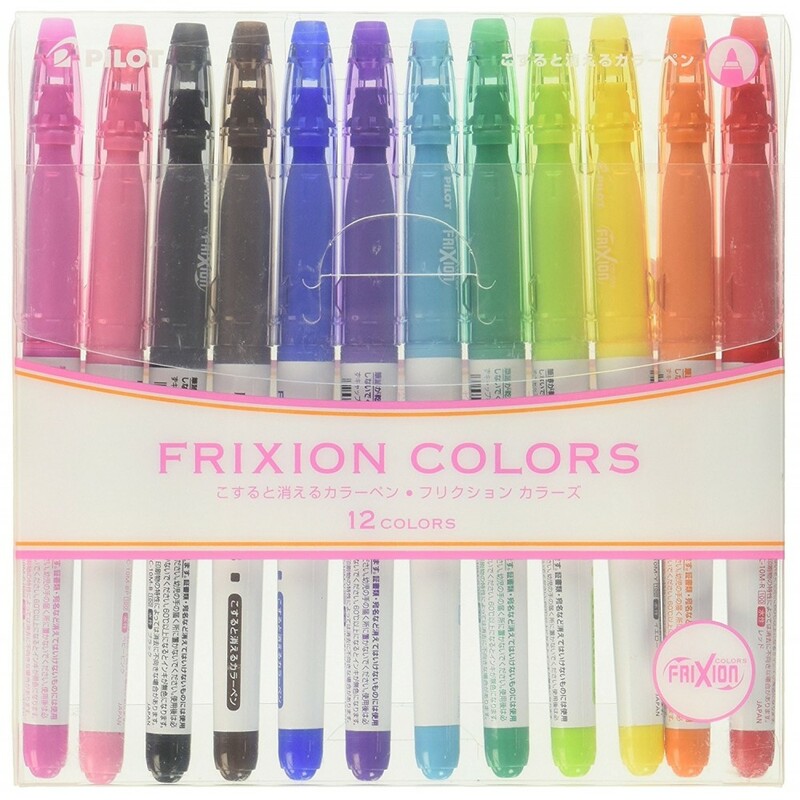 Pilot's FriXion Colors markers produce solid colors and are completely erasable! 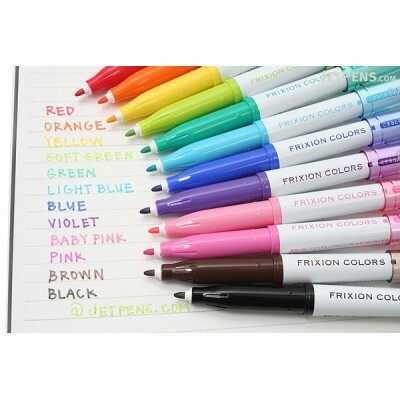 Take error-free notes, color-code your ever-changing calendar, or write cute letters to friends. 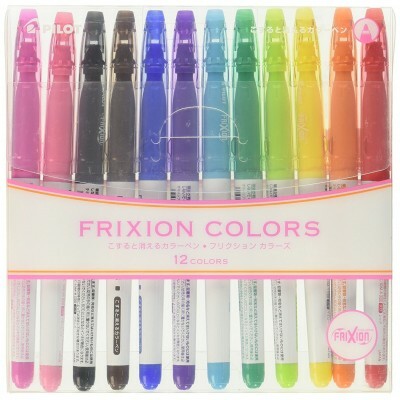 This 12 pen set includes: Black, Red, Blue, Green, Soft Green, Light Blue, Pink, Baby Pink, Orange, Yellow, Violet, Brown.